Learn how our Managed Access platform helped a company see a 200% monthly ROI, while creating a better experience and more brand awareness. Cutting Edge Technology… Security Innovation… Investigative Experience! 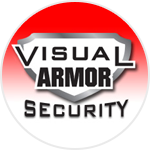 Visual Armor is a security company based in Ohio that specializes in security systems for businesses, schools and residential properties. They service more than 300 clients around the state of Ohio, providing video surveillance, access control, alarm systems and monitoring services. Finding a DNS service that was integrated in their systems that also offered administrative access to their clients devices. "My issue was that my clients devices weren't being supported for whatever reason and I was having to go out (to their location) and change the IP address and update their information and I couldn't do it from a remote location," Moon said. "(Because of this) I was having to go out for a 10 second fix and it would end up being an hour or an hour and a half and I was getting to be non-productive." Moon needed a service that allowed him to fix any issues his clients were facing from a remote location, on and easy to use portal. He also needed the ability to make sure their hostnames did not expire, due to inactivity. Because of this Moon needed to find a service that allowed him to be solely responsible for his clients hostnames and remote access setup. No-IP set Visual Armor up with a Managed Access account. This allowed them to add their clients hostnames to a branded portal on a custom domain, in this case visual-armor.com. By adding the hostnames to the Managed Access portal, Moon was given the ability to update client IP addresses, change passwords and delete hostnames. This meant Moon was no longer making service calls to fix technical issues associated with his devices. Moon could also setup client accounts ahead of the installation process. By doing this his installers were able do the dynamic DNS setup for the client during the installation. This streamlined the setup process and meant his clients didn't have to do any work. "Managed Access was the solution," Moon said. "Ever since I switched to Managed Access I have never had a problem, and if I did it was a minor problem." Visual Armor has seen many positive changes to their business due to Managed Access. The first being increased productivity. Moon no longer has to make service calls to fix minor issues, like updating an IP address or changing a password. He said this has saved him, on average, somewhere between 30 and 45 minutes a client. This extra time has allowed him to concentrate on doing more installs and focusing on other more important areas of the business. He has also seen an increase in revenue. Moon resells Managed Access to his customers for $9 a month per device. This means the product is paying for itself and he is profiting more than 200%. He said he is able to resell Managed Access because it allows his business to take care every aspect of remote access for his client. "(My company's managed access growth) is going to be huge. It is going to be tremendous because it's just that easy to do," Moon said. "I got to the point where I didn't want to have to go here and there just to fix someone's IP address. Managed Access makes that much easier. The best thing is being able to say that this DVR, already has No-IP integrated. So all I have to do is give them a username and password and they are good to go."